The Presbyterian College cheerleading team competed at the National Cheerleaders Association & National Dance Alliance Collegiate Cheer and Dance Championship in Daytona Beach, Fla., last weekend. This was the first PC cheerleading team to compete on any level. The Blue Hose finished eighth in the Intermediate All-Girl Division I competition out of 13 teams, earning a final score of 90.2917 percent. PC earned a 90.35 in the finals and a 90.12 in the preliminaries. This event was both the first and last competition for seniors Brianna Estes and Michaela Lee. Saint Joseph’s University won the Intermediate All-Girl Division I championship with a score of 96.2583 percent. Kennesaw State came in second at 95.8917, and Maine rounded out the top three with a score of 95.8375. Fellow Big South Conference member Radford placed sixth with a score of 91.2375. Next year the team is also planning on competing at some smaller events to prepare for the national championship. 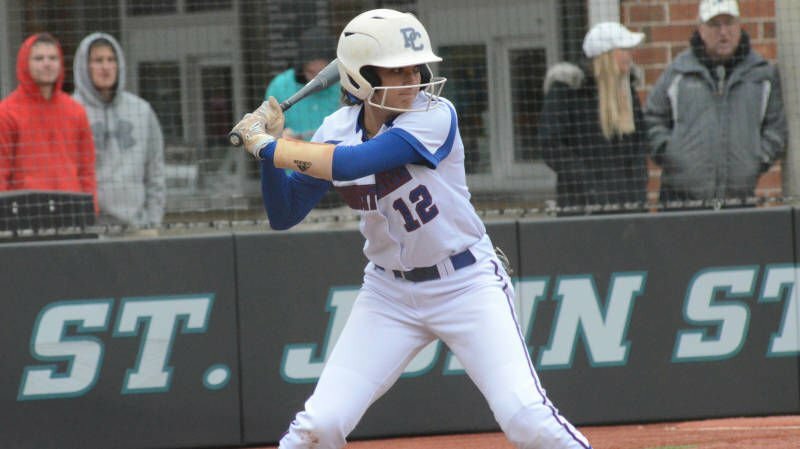 The PC softball team dropped both ends of a doubleheader at Winthrop on Tuesday night. PC fell 2-0 in the first game and then was defeated 9-5 in the second. The Blue Hose are now 10-31-2, 0-14 in Big South play. Taylor Ward got the start in the circle for PC in the first contest. The freshman worked her ninth complete game of the season in the loss. She allowed two runs on four hits and two walks. Ward allowed only one hit after giving up the pair of runs in the second inning. Casey Gerhard led the Blue Hose with a pair of hits in game one. Her one-out single in the top of the fourth inning, followed by a two-out double to center field by Courtney White created PC’s largest threat of the first game. Jonnie Petree hit an infield single in the third to extend her hit streak to 13 games. Gerhard continued her night at the plate with a two-run homer in the top of the sixth in game two. The long ball was her team-leading third of the season. Kiley Kross collected her 20th RBI of the campaign with a sac fly in the first frame that drove in Petree, who brought her streak up to 14 with a base knock in the same inning. Chelsea Lyons scored on an error in the fifth.